“From the WEST coast to the WEST Villages contact the Westbrooks.” Ray and I have been saying that for some time now. Why, because we are excited about the West Villages. Why are we excited you ask? What is the West Villages? Where is the West Villages? All great questions. The West Villages is currently the 4th fastest selling planned community in America. The growth is attributed to the perfect location on the west coast of Florida. 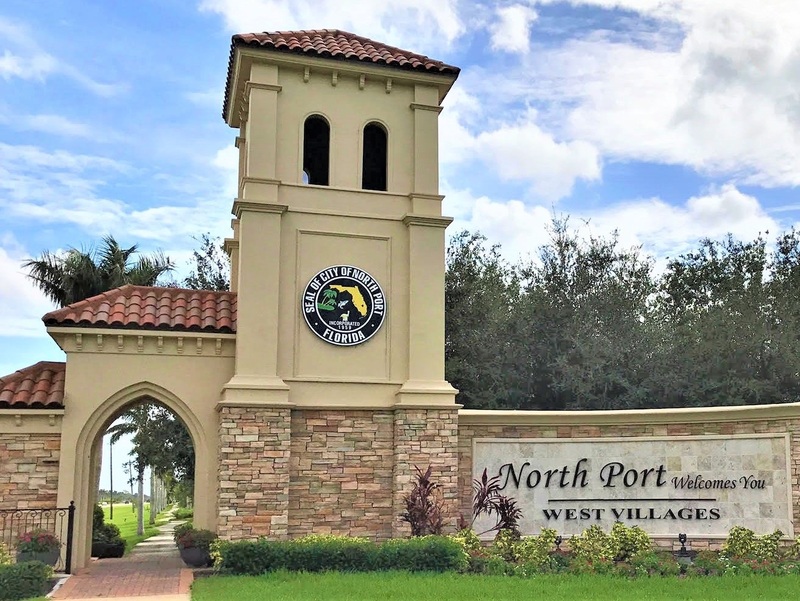 Located just outside of Venice the “City on the Gulf”, North Port with it’s famed Warm Mineral Springs, and Englewood with its trio of Manasota Key Beaches. The West Villages prime location is on the “Trail” which is Highway 41/Tamiami Trail. Access to I-75 is only 7 miles from West Villages center. West Villages has several airports to choose from; Tampa International, Sarasota-Bradenton International Airport, Ft. Myers, and Punta Gorda. Ok, convenient location. Let’s get to the important part. How close is the West Villages to the Gulf of Mexico? REALLY CLOSE! There are plenty of beaches to choose from; Venice Beach only 11 miles, Manasota Beaches are only 10 miles, Nokomis Beach is 13 miles. The number one beach in the U.S. Siesta Key is 25 miles north. Or for additional boating and fishing options Fisherman’s Village and beautiful Charlotte Harbor, which is fed by the Peace River and the Myakka River, is only 23 miles away. What else does West Villages offer? Well, do you play golf? How about tennis? Pickle Ball? Bike, jog, swim, kayak? How about bocce ball? Do you enjoy Zumba, Pilates, spin, or yoga? Do you want dining options within your community? Or perhaps you just want to make a pitcher of margaritas and sit pool side. Are neighborhood parties & get-togethers for you? West Villages has all that and more. There are seven distinctively unique communities in West Villages each offering “livin’ the dream” Florida lifestyle with varying amenities. How do you know which is the right community for you? Is it Sarasota National with its golf course, or is it the nature-focused Grand Palm, or the Tuscan-inspired Gran Paradiso, or the resort-styled living in Island Walk, or the smaller community of homes in Renaissance, or perhaps the Preserve or Oasis? You don’t have to figure it all out on your own. Ray and I know the communities, we know the amenities, we know the builders. That is why we say, “contact us”. The builders; Neal Communities, Lennar, DiVosta, M/I Homes, Mattamy, & D.R. Horton have listened to what people want and have created something for everyone. Call us. Ray and I will walk you through the entire home buying process; from custom homes, to inventory homes, to resale homes. We will schedule your personal tour of the different communities. Then we will negotiate with the builder, and offer knowledge on the builder upgrades that make sense. We will be with you at the inspections and walk-thru, and be with you at the closing table. It doesn’t cost you anything to have a Realtor with you. In fact, because we know the builders and their incentives, using us could save you some money. Most important the builder, not you, pays our commission. A little-known fact is that the Realtor commission paid often comes out of the builders huge marketing budget. Having a Realtor with you is simply a plus for you. Are you a major league baseball fan? Do you enjoy Spring Training games? You could say that West Villages is in the heart of the Grapefruit League. First, the Atlanta Braves will be relocating their Spring Training facility to the West Villages. The ground-breaking ceremony was October 2017. Bringing an estimated $1.7 BILIION in revenue to the area during their 30-year signed contract. Of course, there are the other Spring Training camps in the area; the Rays in Port Charlotte, Oriels in Sarasota, Pirates in Bradenton, Phillies in Clearwater, Twins and Red Sox are in Ft. Myers, and the Yankees in Tampa. The West Villages Market Place when complete will offer a grocery store, restaurants, and shopping. For more shopping, restaurants, theaters, and fun options close by is Venice, Englewood, Port Charlotte, and Sarasota (only 35 miles north). There are numerous medical facilities to choose from in the region, too. As well as, Sarasota Memorial Hospital will be opening an urgent care facility right in the West Villages.